Celebrate your sign with this little tin of creamy delicious lip balm, flavoured with vanilla and made with all natural ingredients. 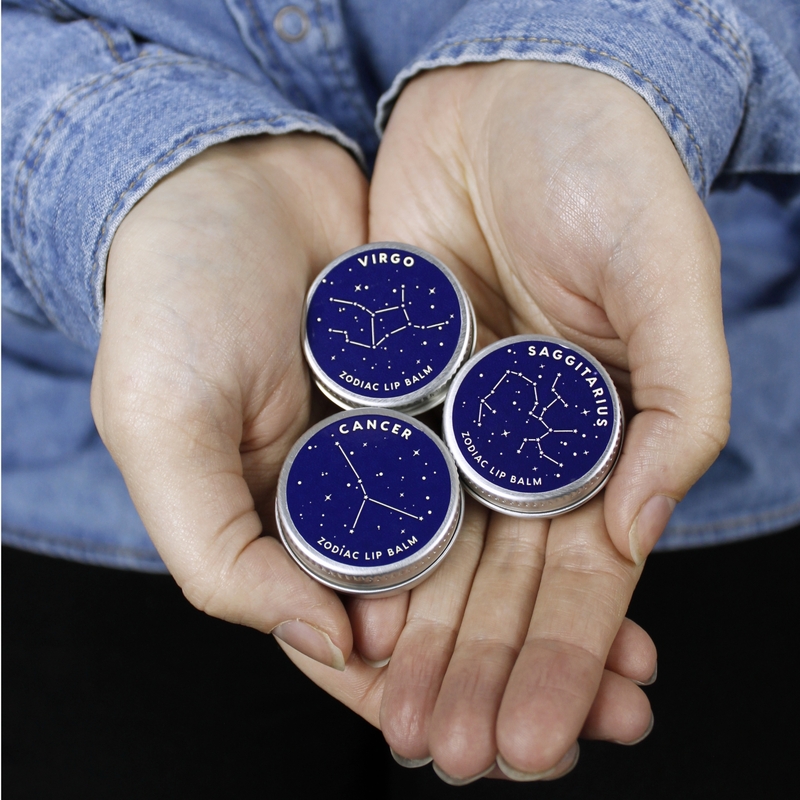 Your zodiac lip balm is weighed, melted, poured and labelled by hand in Sheffield and comes in a little 10ml aluminium tin. It’s the perfect birthday gift or stocking filler!